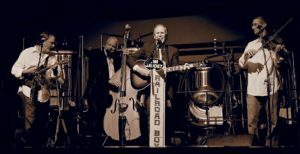 Here’s what Jordan and the folks at Wolf Hollow had to say, “Its always a great time when the Railroad Boys come to town! Don’t miss another great chance to see these guys in action here at WHBC. The show starts at 8:00 pm and you can expect two great sets of music. Come early and grab a bite to eat from our friends at Buzzard’s Bay BBQ and get a spot to enjoy the show”!